We’re well into the month of December, and it’s time to switch focus on decorating for the Holiday Season. You’ve successfully hosted your family and friends for Thanksgiving (high five!) and your loved ones are now looking to you for advice on your decorating tips for December. Are you ready to give them answers? Thankfully, we’ve put together our top 10 decorating tips for the Holiday Season, so you can prepare your home with everything it needs to celebrate December. We’ve selected DIY, easy-to-create decor ideas so you can prepare your home in a flash. 1. Fill your own ornament. can think of – feathers, confetti, tiny pine cones, tree needles, and glitter work well. If you’re feeling more ambitious and have some time to prepare, create a miniature piece of paper-cut art using a template (and some careful work with a craft knife) and pop it inside for a beautiful winter effect. If you’re hosting a large dinner for the Holidays, you might want to use place cards to identify all of your guests – especially if not everyone is familiar with one another. We love the idea of wood place cards. Creating these are easy. Head to your local decor store to grab the number of wooden blocks for place settings you’ll need – or, if you have access to a fallen large branch in your back yard and can chop the branch into small pieces, you can create your own wood chips. Next spray paint your chips in gold, silver or white. Once dried, use a black marker to write the names of your guests on the wood chip. Voila! It’s easy! Let visitors jingle all the way into your home. 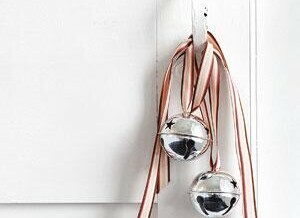 Find some big silver bells and festive ribbon at your local decor store and tie them together. The more ribbon, the better. Attach this to 3 or 4 doors in your home. 4. Traditional wreath – with a twist. We love traditional wreaths, but we love them even more when they feature a modern twist. With a bit of spray paint, you can transform a wreath into something befitting a winter wonderland. Grab a can of spray paint from your local decor store in frosted white, silver or gold, and spray away. Advent Calendars are oh so popular with children, but why can’t you use them for the adults in your family, too? Count down the days until December 25 with little paper envelopes, ideally sized to hold all sorts of surprises: from candy and tickets to tiny toys and little notes. We love the idea of using rubber stamps to ink the dates on the envelopes. You can also embellish these by adding tags, string and clip art. 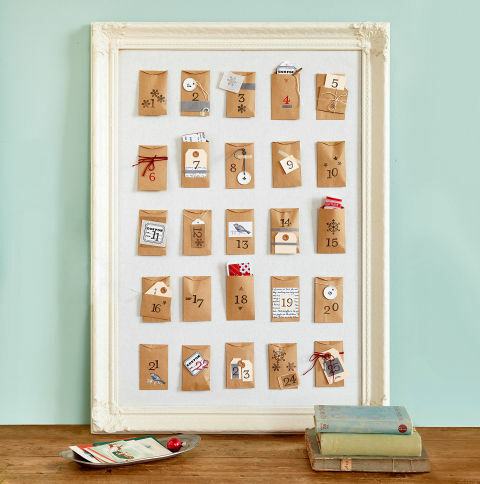 Then, simply pin the envelopes on a pretty corkboard to complete the look. The easiest DIY, but one of the most appealing, are pinecone ornaments. If you have access to a backyard or park with pinecones that have dropped over the last week, grab a 5-10 and bring them home. Ensure they’ve dried, and spray-paint white, silver or cold on the pinecones. They really pop against evergreen boughs. We love the idea of festive centerpieces, and this one is easy. If you have access to an extra long tree limb in your backyard or park (make sure it’s already fallen!) bring this into your home. It’s entirely up to you if you spray paint the limb – we think the centerpiece looks great either way. Next, knot lengths of twine around the branch and hang it from a row of a number of hooks. You’ve immediately made your table feel more quaint and intimate. Can you tell we love ribbon? For this DIY, use leftover ribbon to tie around the stems of your Champagne flutes or wineglasses before dinner and during cocktail hour for an extra bit of festivity. The best part about this DIY project is that by choosing a different color for every glass, you will help guests keep track of their drinks. It’s a win/win. Still have some wood slices left from your place cards? Consider using these as ornaments. All you need to do is paint a simple design (a tree or star) or word (noel or joy) on the wood with white craft paint, and drill a hole for hanging. This addition gives your tree a rustic, yet sophisticated look. With these 10 DIY decor ideas, we’re certain you’ll be ready for the Holiday Season. After spending time with family and friends, and partaking in a meal to celebrate the Holidays, your home will shine with such beautiful, festive decor. Thanksgiving is quickly approaching, and we’re getting so excited about all of the potential your home has to offer for decor and DIY opportunities for the Holidays. From table settings to floral arrangements, we encourage you and your family to work together and prepare your home for celebration during this joyous time of the year. To prepare for Thanksgiving, below are 4 decor ideas you can work on now as a family to prepare your home. This is one of our favorite additions to a home during Thanksgiving. As family or guests arrive for your delicious dinner, have them write what they are thankful for on a paper leaf or note and pin it to a board or frame you have constructed. Get creative and cut paper leaves from old books or scrapbooks. We encourage you to find a safe place in your home and store this away for the year, and re-visit your notes the following year. Have your words of thanks changed, or have they remained the same? Get creative with your centerpieces. 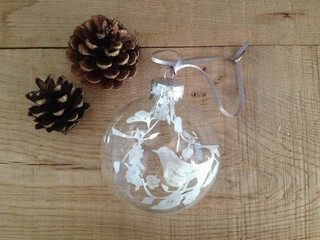 We love using dried floral and pine cones to bring the outdoors, inside. For accompanying table additions, use re-purposed candle-holders and display small pumpkins. You can find such candle-holders at the antique store or thrift store, and spray paint with an acrylic color to align with your table items and achieve a unified look. We love rustic candles. For an easy, handmade candle holder, we love the look of hot-glued ears of dried Indian corn around a candle, with wrapped twine around the base. You can display this candle on your dining room table, side table or kitchen counter. Exchange the Indian corn for pine cones, if this is an easier addition. There is no better welcome than that of a gorgeous, fall-inspired wreath on your door. Welcome guests with an easy-to-make leaf wreath by using items you can find in your very backyard. Using small scissors (be safe! ), cut slits in the centers of fresh leaves or pliable dried ones from a crafts store. String the leaves onto a wire wreath form until it is full. From our family to yours, we wish you a very happy Thanksgiving with your family and friends! With the Fall nearly in full swing, we’re already dreaming of what’s ahead for 2016. Although there are plenty of trends to bring into your home now, sometimes you simply don’t have the time for an entire home makeover. That’s why we’ve compiled 6 easy ways you can enhance any room as we enter the new year. Are you ready to implement these tips and tricks in your home? 1. Think accessories (bookshelves are our favorite). Reading is an essential part of the lives of many of our clients, so we often recommend this feature for small, but meaningful home improvements. Think about accessories, such as bookshelves, that can be added to any room. If you’re updating your living room, consider placing a comfortable reading chair to accompany this area. Not only will your room showcase your fascination, it is also a great conversation starter. 2. Fresh coats of paint. If you have a handy arm, updating feature walls – or even your entire room – can be done with simply your time and energy. We love fresh coats of paint to go along with the seasons, as long as you’re sticking with similar palettes. For example, if your room currently features a grey or blue tone, stay in the same color palette. Your furniture and accessories will thank you. 3. Pops of style and trend. We like to think of living areas as wardrobes. You can fill it with new colors and accessories each and every season (within reason). For this upcoming season, identify a few patterns of colors that make your room look inviting and exuberant. For example, consider integrating some animal prints in your pillows or throws, or add a metallic side table in place of your current, traditional feature. 4. Wall quotes that have meaning. Depending on the room, we love wall quotes. Especially in a home office, wall quotes truly showcase your personality. Keep yourself and your guests inspired when they walk into your home. 5. Add a piece of art. In a perfect world, your home should look as spacious as possible – but we’re not all blessed with large foyers and high ceilings. To help make a small room feel large, you’ll want to include something that draws the eyes upward. That’s where art comes in. The placement of a unique piece of art can create a dynamic look that balances your room and scale. Remember – it doesn’t have to be large. It simply needs to pull your colors, textures and patterns together. 6. Shop for a new rug. For a room with hardwood throughout, adding a new rug can work wonders to update a room. Just like we recommend with paint colors, remember that your rug should stay within similar color palettes as this will help avoid adding any other changes to your room. Consider shopping for a vintage rug at your local antique shop. Remember – updating your home for the New Year doesn’t need to be costly. With simple tips and tricks for small changes you can make now, your home can feel fresh and new for 2016. With 2016 nearly upon us (can you believe it?) 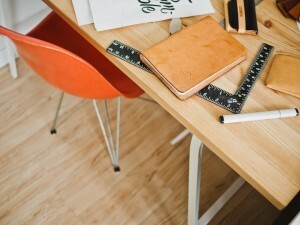 we’re starting to look ahead at design trends for the New Year. From color palettes to accent decor, 2016 promises to be a greater, more eclectic year in Interior Design. Below are 10 trends we’re excited to see in 2016. 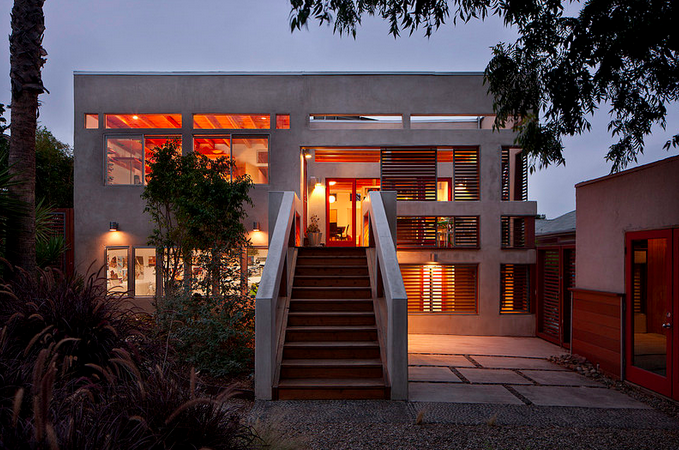 Sustainable design will be an everlasting trend for urban home owners. As consumers and designers explore different materials with greener, more sustainable solutions, we will truly begin to see this in all areas of the home. Think recycled plastics, wood and more. We’ve referenced this in our Fall trends, and we’ll see the trend continue to 2016. The matching of metals and colors are so gone this season. Instead, think differently. Metals can be used in any room of your home, from accessories in your living area to lamp stands in your master bedroom. The color palette for 2016 will be all about creating nostalgia. With tranquility in mind, think about industrial, minimalistic colors such as grey, silvers and blues. Combined with soft textures and rich palettes, create nostalgia using stimulating colors this year. Either on print, pillows or rugs, dream about animal accents. Zebra print, leopard print and more will make your accents filled with personality. 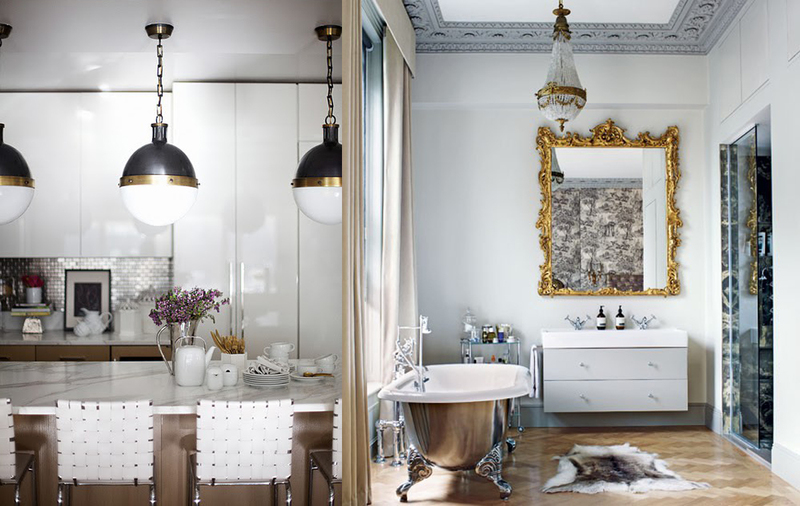 Much like mixing of metals, combining designs will be all the rage in 2016. Think about mixing modern and rustic designs, such as a rustic bathroom vanity with modern tile. We love the urban, chic look and feel, and this couldn’t be more true than in freestanding or vintage tubs. Should you have the room in your master bathroom, these tubs create the look and feel that any character home desires. If you’re thinking about updating your flooring this year, think about natural flooring. Driftwood, pine, or planks with traditional knots. Combine with elegant furnishings and home accessories. The Great Room will be of great focus in 2016. We’re dreaming of oversized sectionals, furnishings and lighting. As we enter the cold winter months of 2016, cozy and oversized furnishings will have all the focus. Much like sustainability, kitchens are all about the latest and greatest appliances. From fridges to stovetops, we’re focused on the most cutting edge appliances and accessories for the year. Quartz stone and countertops are still the highlight of 2016. Why? Because there’s little to no maintenance. These surfaces bring true elegance to your dream kitchen or bathroom, and we see little sign of this trend slowing down. We are so excited about the trends ahead for 2016 and we’d love to tell you more. Are you looking for home renovations or updates in the New Year? Let’s talk. As the Summer draws to a close and the weather becomes cooler, our evenings are spent more and more frequently indoors instead of on our back patios. Although we’re certainly going to miss the long Summer nights, we’re excited about Fall and the interior design possibilities that are ahead. After all, with new seasons come new trends – and we’ve identified our top 5 favorite trends for Fall 2015. In the Fall, you’ll see the mixing of warm metals (think coppers, golds) with cool metals (think silvers). Matching of metals and colors are so gone this season. Instead, dream big. Mixing of metals can be used in any room of your home, from accessories in your living area to lamp stands in your master bedroom. Much like taking risks with your mixed metals, graphic tiles will be seen in everything from commercial to home spaces. Combine graphic design with interior design to give you the perfect balance of urban chic and sophistication that your home needs. Although there will be plenty of risk with metals and tiles, wall colors will be moving back to neutral for the Fall. Consider playing with the palette of your home office and select a color that will be the perfect backdrop for your furnishings. Fresh shades of light gray color tones, beige, black and white will be on-trend for the remainder of 2015. We said take risks, right? Going retro will combine the perfect rustic, yet modern style that is comfortable and oozes class. Dream about black and white geometrical prints, chalk boards and contemporary prints. Much like neutral wall colors, we’re loving the vintage romantic trends in interior design right now – and this will come full force in the Fall. Integrate soft pink and hues in your linens, candle holders, throws and pillows. With these five key trends ahead for the Fall, we’re excited about interior design updates and changes. Remember: you don’t need to have a large budget to update your home this season. Contact us for more great, inspiring ideas. With the Summer drawing to a close and September getting closer, it’s time to start thinking about dorms and college apartments. The best part? It’s time to start thinking about decorating for dorms and college apartments. Whether you are going back to school or your children are moving out of the home, below are 5 tips to decorate for the school season. Where to shop (and when) can make all the difference. Will you be designing a modern dorm room with functional furnishings, or will you opt for a vintage chic look and feel? And what about the ‘when’? Shopping one week before school begins will be a recipe for disaster. Think ahead and plan an entire day with your child – just make sure your shopping is done in August. 2. Have a set budget. This is perhaps the most important. To avoid going over budget and into the red, ensure you have a set budget before you begin shopping. We recommend having a budget for furnishings and a budget for school supplies, and breaking each one down with must-haves and nice-to-haves, so you can add and remove items as necessary. 3. Be aware of your space. Ensure you have your square footage on-hand as you shop, so you purchase appropriately-sized furnishings. Apartment-style furniture is often the best. Think small couches and side tables. We know – this one can be difficult. Once your child leaves, you can experience a sort of empty-nest syndrome (especially if the new college-dweller is your last child to leave your family home). To avoid emotional decision-making, have a plan developed now. For example, you can choose to turn your child’s room into a new office or second bedroom, or you can keep it as-is for when your son or daughter returns home for the Summer. Whatever the case, make sure you have a plan before your young one leaves your home doors. Keep this in mind as you purchase your furnishings – will you be flying or will you be driving? If you will be flying, keep in mind of that budget as your travel costs will be sure to increase. If you will be driving, ensure your recently purchased items will fit in your vehicle for transportation. As you embark on your purchases for dorms and college apartments, remember the moment and the experience you have with your child. This is a whole new adventure in your life, and one that we encourage you to embrace. Now that we are in the second half of 2015, it’s time to look at the top decor trends of this year. With palettes and materials, lighting fixtures and furniture settings, this year has truly given us much to choose from so far. What are the top 5 favorite decor trends for 2015 here at MDK Designs? Find out below. This has weaved itself into many areas of your home. The Artisan look, such as antique side tables, cracked outdoor furnishings and gold frames, has started to become a fixture within homes. We predict that this will replace your urban chic furnishings. Think of your black mirror frame being replaced by a smoked, textured feel. Personal touches to your home will be more important than ever in the next half of 2015. With small embellishments on furniture, such as stripes and french knots, or highlighting your room with metallics such as silvers and gold, the details will be key. With any piece of furniture, in particular, be sure to think about various ways you can truly make it your own. We know, we know – we’re all enjoying this warm, Summer weather and cannot even begin to imagine the crisp air coming our way, but it is never too early to start thinking about the Fall. Our prediction for Fall colors? Greys and blues – and lots of them. We are thinking nantucket and pewter grey with indigo navy and cobalt blue. Blues and greys are strong foundation colors and can be mixed with many other colors like yellows, ambers and reds that will be beautiful accents and highlights. Grey and blue will be very prevalent in everything from wall colors to accent furnishings. This is music to every home owner’s ears. Low-maintenance materials will be front and center in the Fall and Winter of 2015. Think synthetic stone, such as cambria, or flooring in porcelain and bamboo. Easy to maintain and beautiful in all seasons, these materials will be seen everywhere. You will see geometric patterns in your backsplash, throw pillows, drapery and rugs. Geometric and linear shapes are great in design because the add depth and an abstract element. It is a very easy way to incorporate artistry and patterns in your decor. Don’t be afraid to use these in different areas of your home – walls, floors bedding and much more. As the second half of 2015 of upon us, we are truly excited at the interior design trends of the next two seasons. How will you update your home for Fall and Winter 2015 trends? We always say that beauty is not everything; it’s on the inside, that counts. After all, the interior should always exceed that of the exterior in every way, right? We’re diverting ever so slightly from this notion with home design, and it comes down to one reason – curb appeal. When selling your home or even having guests arrive for a dinner party, the exterior is the ultimate first impression. From a well-manicured lawn to the color of your home, from the stone on your driveway to the hedges outlining your property, the curb appeal of your home really is everything. So how can you ensure your home has the curb appeal it needs for resale or those dinner parties? Ensure your home has an updated paint color. Your home color ultimately depends on the style of your home – traditional, modern or urban, perhaps? Although the color of your home is dependant on your style and overall taste, it is important to keep the quality updated. One of the worst mistakes you can make during the selling process is to not have your home’s exterior well-kept. Should you see chips on the siding of your home or discolor after weather and time, it is important to invest in a refresh of the exterior. Invest your time in landscaping. Investing in landscaping does not have to be a monetary investment; in fact, we encourage you to get outside and have fun with your lawn and garden yourself! From ensuring your lawn is freshly cut to removing weeds from your flower bed, investing time in landscaping will go a long way to the overall look of your home. Should you need to hire a landscaping company, we advise you read reviews and do your due diligence before having a business arrive on your property. Keep exterior material clean and updated. From stone on your back deck to the material on your driveway, ensure your exterior material is both clean and updated. This means pressure-washing yearly, removing the grit and grime accumulated from the weather, and replacing any material that requires updating. Much like investing time in landscaping, make sure you are investing time and resources in the materials around your home. Pressure-washing yearly can go a long way to long-term protecting and support of your exterior materials. The curb appeal of your home is second-to-none in terms of importance and a first impression. How would you rate the curb appeal of your home? Tweet us. With the 4th of July upon us, we are looking forward to hosting family and friends for a beautiful barbeque and celebration of our country. This day is not only a time to get your loved ones together, it is also a time to decorate your home and exterior in a way that truly reflects your unique design style and trends. If you are hosting this year’s 4th of July celebration and your home is not quite ready for friends and family to arrive, below are some quick and easy ways you can prepare yourself for this wonderful day. 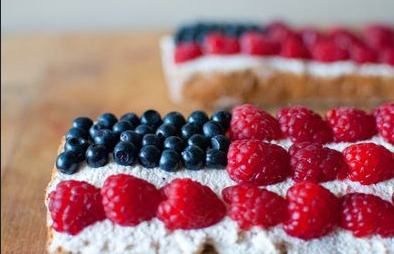 The 4th of July is a time to infuse tradition in your home. Forget the ideal color schemes and palettes; this day is all about red, white and blue. Integrate blue table runners with soft white plating and accessories, or bring together red and white outdoor candles with your traditional, dark wood table and chairs. And remember – no 4th of July celebration would be complete without our flags waving proudly at each table placement. Consider placing your flag accessories in a mason jar surrounded by your accompanying cutlery. With family and friends in your home, it is important to remember that children and adults alike enjoy games to play on beautiful, sunny days. Consider bringing out the bocce set for outdoor fun, or place checkerboards around your back yard. If you often go the extra mile, it is worthwhile considering small take home gifts as an added surprise for your guests. Remember – these do not have to be large in scale. Visit your local grocery store and collect red, white and blue jellybeans and wrap these in cellophane. Or, gift your guests with our flags and a small red, white or blue candle. A small gift can go a long way in creating an impression on your guests. Most of all, we wish you a safe, fun and celebratory 4th of July. May you truly celebrate with your loved ones and take part in all that this Holiday has to offer. The transparent trend of lucite material has returned to the interior design industry and it’s quickly taking us by storm. With a deeply rooted history, lucite’s light reflective surface is now making its way into the modern, chic home once again. So how did lucite material begin? This material is often associated with Hollywood Regency glamor. It was commercially available in 1937 and was used in a variety of designs and applications. Fast forward to 2015, and this material has made a comeback as a versatile and beloved material for home interiors. Adding an element of splendor in just about any home, lucite has certainly not lost the Hollywood Glam it originated in. What was it originally used for? We mentioned that lucite was used for a variety of purposes, and it’s true – this material was used in everything from military applications on submarines and airplanes to women’s jewellery and handbags. In the modern world, there was really no limitations to its use. So what about interior design? Lucite is a popular choice and an alternative to glass because the material is very strong, light and durable. In many projects, lucite is actually the preferred materials because it is shatter resistant and can be carved and dyed in a variety of colors. 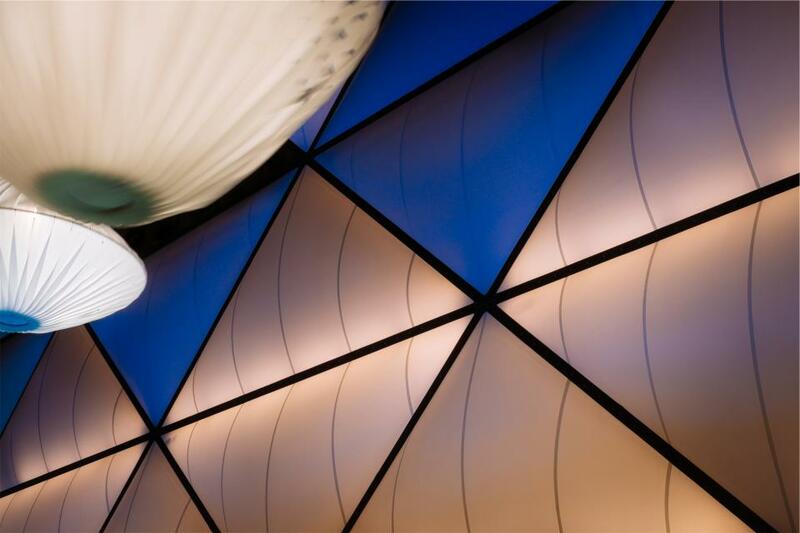 In addition, lucite is able to reflect light in such a way that it keeps it on the material’s surface. As such, it is perfect as an edgy piece to a classic, modern room, providing visual energy to the interior. Lucite can turn a traditional space into something marvelous, modern and amazing, as it has the ability to break up the visual weight of items such as wooden tables. Lucite made a comeback in the 60’s thanks to Modern Interior Design and was used in light fixtures, accessories and furniture. By 2002 Philippe Starck introduced the now infamous Ghost Chair and that was the beginning. We love integrating lucite into the classic and modern home. Just remember: you shouldn’t use traditional glass cleaner on the material; instead, search for an acrylic cleaner.